Our single shaft shredder for sale is suitable for processing plastic (purges, and plastic in general, pipes and profiles, PET bottles, etc. ), wooden pallets and green wood, paper, confidential documents, cardboards, RDF, electric cables, aluminum swarfs and cans, textiles and big bags, for a throughput between 200 and 1000 kg/h. The dimensions of the screens available are from 50 to 12mm. 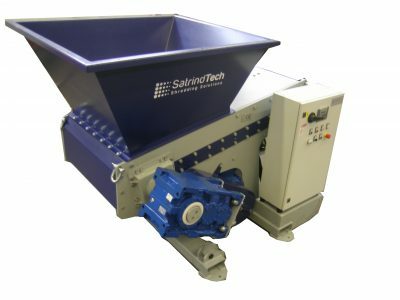 For more info on our single shaft shredders, please contact our specialist team today!